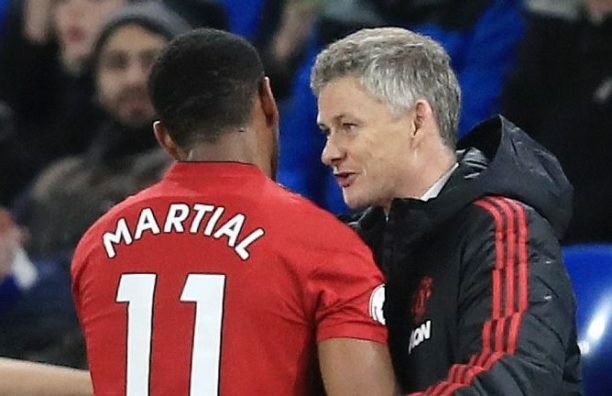 Martial had looked set to leave the club in the summer after falling out with Jose Mourinho but battled his way back into the Portuguese manager’s plans. Martial, 23, who became the most expensive teenager in history when he moved to United from Monaco in 2015 for an initial GBP36 million ($46 million), has scored 47 goals for the club. United play Paris Saint-Germain in the first leg of their Champions League quarter-final on Tuesday, bolstered by Neymar’s injury, but Solskjaer said the absence of the Brazilian would be a loss. “When you play against the best teams, you want to play against the players,” he said. “The crowd want to see the best players. Too bad for Old Trafford. “I have played a couple of games when we played Real Madrid and (Brazil’s) Ronaldo and (Luis) Figo and all those were coming to Old Trafford. That gives it an extra edge.